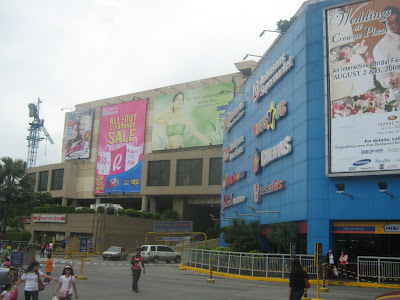 The money changer inside Robinsons Galleria mall have been robbed by unknown men and followed by a grenade explosion. Robinsons Galleria is now closed to maintain the secrecy of investigation to the said incident. Its all started from shooting between the robbers and security guards, according to some witnesses inside the mall. The total of victims are (four), two bystanders and two mall guards. RLC PR manager Roseann Coscolluela-Villegas said that "there were 2 suspects who "forcibly entered the mall" before 10 am." Due to this incident - Robinsons Galleria robbery with grenade blast, some people are now afraid to go shopping on the above mention mall. Comments or suggestions about "Robinsons Galleria Mall Robbery and Blast" is important to us, you may share it by using the comment box below.